We are committed to 100% Customer Satisfaction with top notch people, equipment, and services and zero harm to people or the environment. 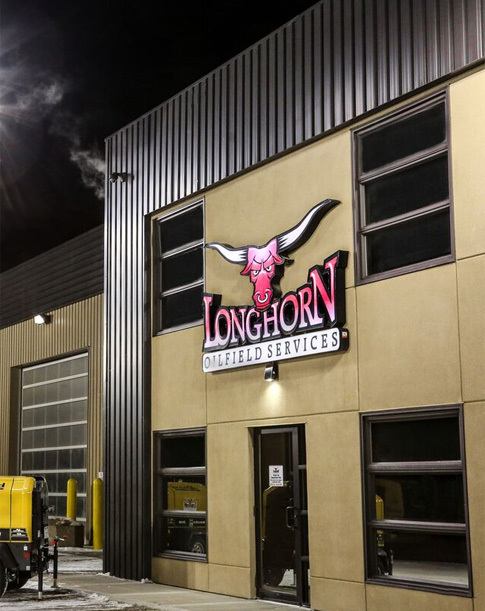 Longhorn Oilfield Services is an oilfield rental company that rents, delivers, and installs oilfield equipment tailored for completions, drilling, and facility construction. We service the Montney, Duvernay and Deep Basin plays from our bases in Fox Creek & Grande Prairie, Alberta and Dawson Creek, BC. With shop and yard services in the heart of the busiest oil fields in Western Canada, we can efficiently serve our oilfield clients across Northern BC and Alberta. At Longhorn, we value customer service, safety, and quality in our work. Whether it’s 30 above or 40 below, we’ll get you rigged up and ready – safely and on time. We understand the challenges you face as you’re planning your project and setting up your lease. Our crew of top notch, highly skilled people work hard to make sure that the customer comes first every time. Check out our Equipment and Services pages to learn more about our team and the equipment we maintain. You can also find the answers to some Frequently Asked Questions below. Here at Longhorn, the customer is #1 – we guarantee it. WHAT IS LONGHORN OILFIELD SERVICES? Longhorn Oilfield Services is a local family owned and operated company that has been serving the Oil and Gas Industry for over 10 years with rental equipment and services. WHAT KIND OF RENTAL EQUIPMENT DOES LONGHORN HAVE? Longhorn Oilfield Services maintains a large array of equipment to meet all of your oilfield needs. From light plants, holding tanks and trailers to fuel skids and washrooms. Our inventory is constantly changing so please call us at 1-855-855-7353 to find out what is currently available, or view our Equipment Page. WHAT KIND OF SERVICES DOES LONGHORN PROVIDE? Longhorn provides a variety of services to meet our customers’ needs. Our trained Oilfeld technicians and skilled labourers service and install all of our rental equipment. Our crews are well experienced working in the Canadian North, and know what it takes to rig in systems that work right, even in harsh weather conditions. For a more extensive list of our services please see our Services Page, or call us at 1-855-855-7353. 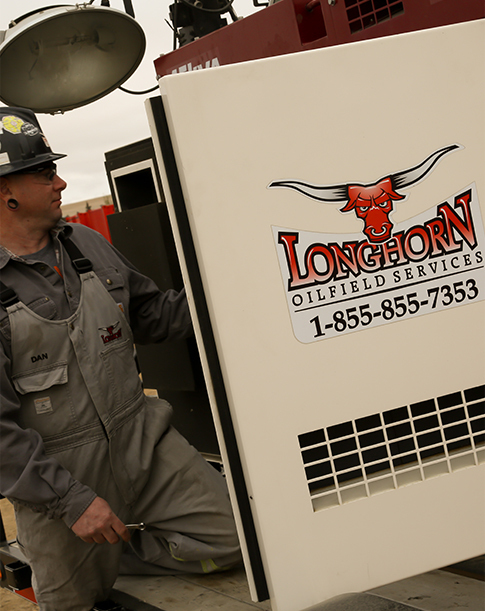 WHERE DOES LONGHORN PROVIDE OIL FIELD SERVICES AND EQUIPMENT RENTALS TO? Longhorn Oilfield Services is based in Fox Creek and Grand Prairie, AB & Dawson Creek, BC and services Alberta and Northern BC.